As an Assistant Director, Operations, Michelle LaCount’s leadership, technical knowledge, and broad ranging professional experience yield a unique perspective when tackling challenges and identifying creative, cost-effective solutions for GCG’s clients. Ms. LaCount has been involved with the $10.3 billion Deepwater Horizon Economic and Property Damage Settlement and its release process since the inception of the Court Supervised Settlement Program. As an Assistant Director, Operations, Michelle LaCount’s leadership, technical knowledge, and broad ranging professional experience yield a unique perspective when tackling challenges and identifying creative, cost-effective solutions for GCG’s clients. Ms. LaCount has been involved with the $10.3 billion Deepwater Horizon Economic and Property Damage Settlement and its release process since the inception of the Court Supervised Settlement Program. Recently, Ms. LaCount took on a new role in Operations leading the team handling the $1.2 billion Halliburton Energy Services Inc. and Transocean Ltd. Punitive Damages and Assigned Claims Settlements related to the 2010 Gulf Oil Spill. 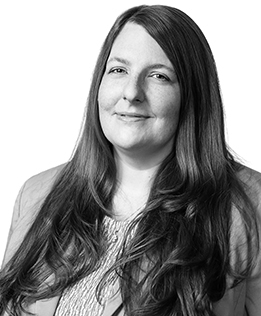 Her direct work with the Court-appointed claims administrator influences all aspects of the case from notice dissemination and distribution model design to identifying the most efficient, cost-conscious distribution strategies. Prior to joining GCG in 2012, Ms. LaCount spent five years managing hundreds of securities, consumer, and labor class action administrations as well as Securities and Exchange Commission Fair Funds. Knowledge of financial and investment law gained through years in private legal practice and as in house counsel provided a solid base for a career transition out of practice into the class action settlement administration field. This experience combined well with her early work in the public sector streamlining worker retraining programs and then in law enforcement while attending law school. Marquette University Law School, J.D. University of Wisconsin – Oshkosh, B.A.